This was originally posted on Stay Bookish. It’s been awhile since I wrote a real blog update and I know you’ve all missed me. (Right, right?) While my blogging time out- if you could call it that, since I still posted once/twice a week last month- has been mostly just me taking a break, I’ve also been busy with other things. Like writing, for one. During the last week of March, I decided that I wanted to join Camp NaNoWriMo this April. While I’ve done NaNoWriMo exactly once and totally failed, it’s my first time doing Camp and I’m totally determined to reach my 50k goal this time. I dreamt of my story. I mean this in the most literal sense. I woke up from a funny, weird dream of going on a road trip with Harry Styles of all people and decided hey, that could happen in a book and so I tried to make a plot out of it. I started planning the trip, as if I were going to take it on myself, and then worked on characters and a storyline. Come April, I started writing. So yeah, I kind of love my book cover. I designed it myself just last night- the photo isn’t mine of course but I edited the colors, added a gradient and then added the typography using the Boho Family font! Anyway, on to what my WIP is about. What Happens Now is a YA road trip novel and it’s largely about breaking out of your shell and going on an adventure. I’m not going to share the synopsis (it’s super cheesy) but the story is about Megan and Zac, a recluse and a famous singer/musician respectively, who travel together to attend a wedding between their loved ones. There’s romance, music and travel in the story and it’s so exciting to write about these things. I’m at a good pace at the moment and I hope to keep it up! I have here my dream cast for Megan and Zac- Bridgit Mendler and Shane Harper (super cute real life celebrity couple)- as well as photos of the places they go to among other things. I’m still adding on to the board as I go along the story but it’s coming along pretty well! I love making playlists and this one is totally inspired. I put several of my favourite road trip music and then chose several tracks for character ‘theme songs’. Most of the stuff here is upbeat which I think is perfect since my WIP is totally a light-hearted summer book. 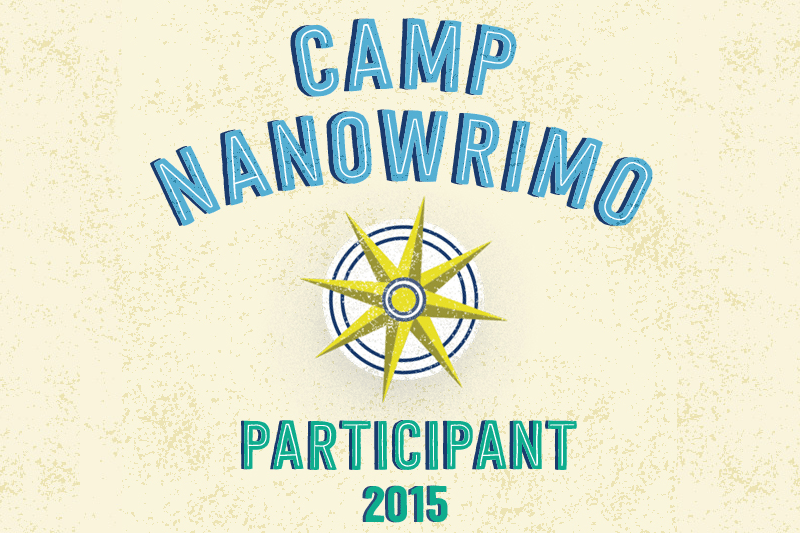 Are you participating in Camp NaNoWriMo this month too? What do you think of What Happens Now? This is very exciting! I love the cover of your potential novel! The synopsis sounds awesome and I hope you continue with it till the end! I am also working on Camp Nanowrimo 2015 and I am loving my story so far! Hope you are doing extremely well! 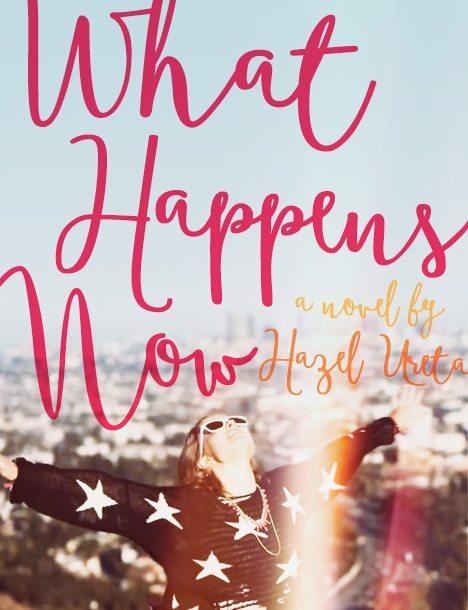 Okay, Hazel, the cover is perfect + THAT PLOT! I am so so excited and I love the Pinterest board as well and the playlist and GOOD LUCK!!!! I LOVE that idea. It sounds like it could be such a cool read. And the cover is so perfect!!! Lols. I remember the one single time in my life I tried Nano. Best of luck to you! I’m sure you’ll get there, and even if not, you’ll still have made incredible progress! Although I’m not participating in Camp this year your story sounds so beautiful! The cover looks gorgeous and professional, and the pinterest board/playlist really does give a good picture of what the story is about! Hope you manage to reach your 50K! Oh my goodness! Your book cover is STUNNING!!! I love it so much! I am literally dying coz I’ve had 2 Harry Styles dreams that we’re like best friends and stuff and ack! I love Zac and Megan already! Awesome cover! Congrats on doing camp nano wrimo. Its so worth finishing and so doable. You got this! ROAD TRIP STORIES ARE ALWAYS THE BEST! And your story, I already am super intrigued by the short sentence about it! I love the book cover you created. The font is perf. You know I’m participating in Camp NaNo. ;D But I’m just sooo behind on my writing. I must get back on the grind! Oh, road trip novels are fantastic. They are perfect for traveling to places you’ve always wanted to see without leaving your home. This sounds like such a fun novel, Hazel, and I hope you have tons of fun writing it. I love the cover! I’m also doing Camp NaNo, and I’m about 23k in. However, I expect my pace to slow down now since school is really busy. Hopefully I’ll get to 50k! Congratulations! How fun and scary this all sounds. I love your cover and I’m kind of in love with the font. I love Bridgit Mendler’s music! I think her type of music is perfect for your story. And I’m also doing NaNo, I’m failing terribly, and I don’t have a title. That’s just about it. Good luck! Sounds super cute! Will we be able to read your story once it’s completed?